The Rolex Datejust is probably the most recognizable luxury watch of all time. But as soon as someone gets interested in watches in a serious way, their eyes are usually turned by one of two lesser-known icons: the Audemars Piguet Royal Oak, or the Patek Philippe Nautilus. This is a function of the insatiability of our desires, always wanting something more and more unobtainable. And with prices starting at upwards of 10 and 20 grand respectively – for the most basic steel models – the Royal Oak and Nautilus are most definitely unobtainable for all but the wealthy. But there’s more to the enduring status of these watches than the branding and hefty price tag. Both are fixed-bezel sports-watches with integrated bracelets, textured dials, generous lume, a contrast of brushed and polished surfaces, superb in-house movements – and both have unique and instantly recognizable case and bracelet shapes. It is no coincidence both were designed by Gerald Genta. It’s the rare combination of extremely high quality and practicality afforded by these features that lends these watches much of their desirability. The designs and construction are sturdy. They are waterproof (crucially that includes the bracelet, as dress-watches usually come on leather straps), they can take a knock, they have enough lume to be seen in the dark, and they are certainly not delicate in structure or appearance, like say, a Calatrava. Yet they remain elegant, wearing as well with a suit as with a tracksuit. Indeed, they have been described as bracelets which happen to have watches attached. And of course, given their distinctiveness, anyone “in-the-know” will recognize them as expensive status symbols. But it is this price-tag which puts them out of the reach of most. So are there any cheaper alternatives? The most obvious contender is the Maurice Lacroix Aikon. It ticks many of the same boxes, and can be had for under $1000 (if you know where to look). But it falls short. I’d argue the design is derivative – both the bracelet and dial are a little too close to the Royal Oak for comfort. Unsurprisingly at this price-point, the movement is a third party Sellita. 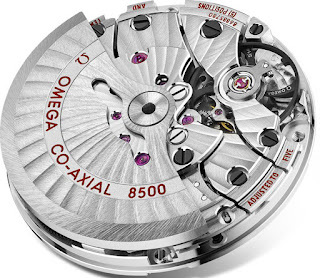 There is an open caseback, but little worth seeing. This all means that while the Aikon is excellent value, it has none of the cachet of the watches from which it takes its design cues. There is, however, another contender. I’d argue the most viable alternative to the Royal Oak and Nautilus – the only watch that fulfills the criteria that make these watches so iconic – is the Omega Constellation Co-Axial. You get the integrated bracelet. You get the textured dial. You get a lashing of Superluminova. You get a unique design from a well-known brand. You get versatility and durability. You not only get in-house, you get serious horological heritage – arguably more pedigree than either the Oak or Nautilus. You even get Gerald Genta DNA! And all this can be had for under $3,000. Revulsed by the Quartz Revolution, George Daniels invented the co-axial escapement explicitly as an intellectual exercise, to demonstrate both his own brilliance and the enduring relevance of mechanical watch-making. The escapement has been hailed as one of the only major innovations in the art of traditional watchmaking in hundreds of years. With it, Daniels secured his place in the horological history books. Omega recognized this, and bought the rights to Daniels’ ingenious invention. Gerald Genta’s contribution to the design of this watch is shrouded in mystery, but what seems certain is he at least designed progenitors of the watch under confidential contract to Omega. The watch certainly embodies the same design cues as his more famous creations – the symbiosis between curves and angles, the purpose-built integrated bracelet, the slim profile combined with a bold and aggressive face. 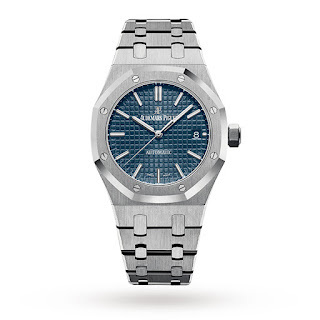 What the Constellation offers that the Royal Oak and Nautilus do not, is a functional bezel. Yes it is fixed, but the bezel on Constellation displays Roman numerals to complement the faceted diamond-cut markers on the dial. More dazzling is the open caseback, which displays the stunningly decorated in-house movement, replete with bevelling and Côte de Genève – plus of course the proprietary and exclusive co-axial escapement itself. Downsides? 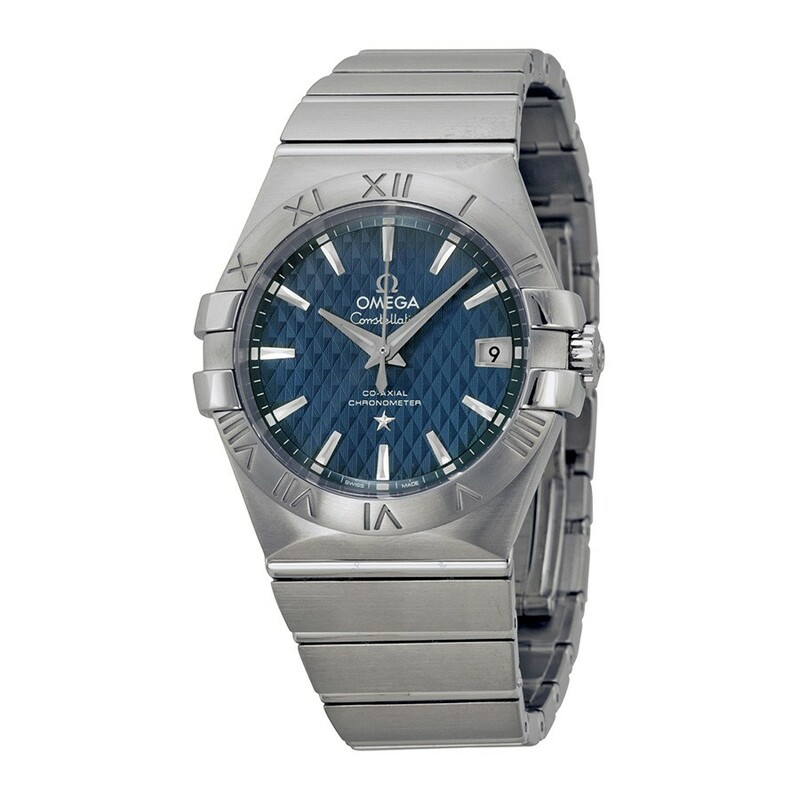 Like the aforementioned Aikon and a number of other watches, Omega saw fit to make the raised surfaces of the bezel polished and the lower surfaces brushed, rather than vice-versa. In this case that means the Griffon-claws that frame the bezel are polished, while the rest of the bezel is in a matte finish. This is always a bewildering choice to me, because the higher surfaces are more likely to get scratched, and mirror finish metal is so delicate it picks up scratches almost from just being looked-at. It would have made much more sense on the Constellation to polish the bezel and have the raised claws finished in brushed steel. This would leave a greater surface area polished, which would then be somewhat protected by the more protuberant brushed surfaces. Speaking of brushed steel, the bracelet on this watch is a little subdued in comparison to the competition. 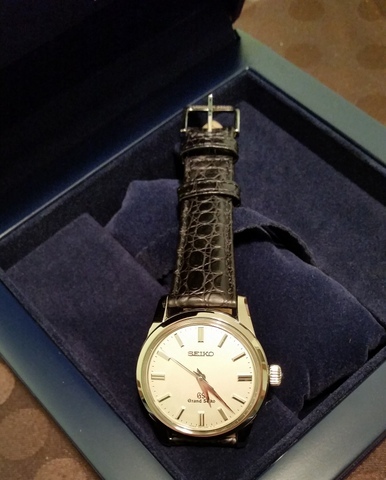 Of course in precious metals, this is not an issue, but in full precious metal this watch is no longer a value option. That said, in two-tone this watch still represents great value, and still dazzles. Like the Nautilus and Royal Oak, the Constellation is available in a range of sizes and with an array of complications. And nowhere else can you find the two greatest names in modern watch-making and design, Daniels and Genta, embodied in a single piece. Constellation is an apt name indeed for the conjunction of these two brightest stars. Frankie Gaffney is a novelist from Dublin, Ireland. You can find him on Twitter @FrankieGaffney. As a proud owner of an early Rolex GMT master I still say... that's the one! LoL the cheaper alternative to the AP and PP mentioned in the article is a vintage Rolex GMT?!? Great article. Thanks! I've never understood why this model of the Constellation is so under appreciated and never compared to the Royal Oak and Nautilus. Yours is the first article I've read that does this-- and I've been searching for one. I'm a big Constellation fan and have several from the first (1952 bumper winding) through the most recent. Thanks again!